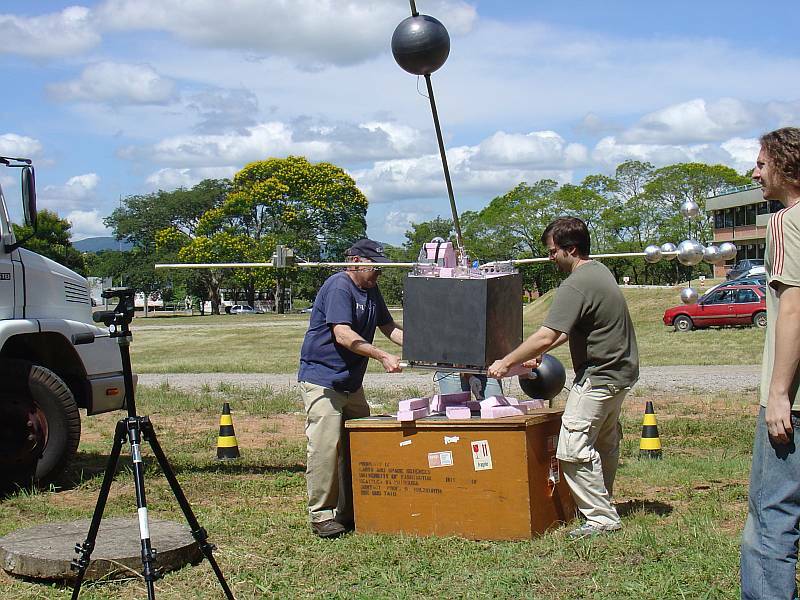 The payload contained Low and High voltage electric field probes, magnetic search coils for a vector B-field measurement, x-ray detectors, one pointing up and one pointing down and two optical lightning detectors, one pointing up and one pointing down and finally a up-looking video camera to record luminous phenomena. The main objective of the experiment was to measure electric and magnetic fields, along with x-rays and optical lightning associated with sprites. Sprites are large, brief flashes of light that occur very high in the atmosphere above large thunderstorms. 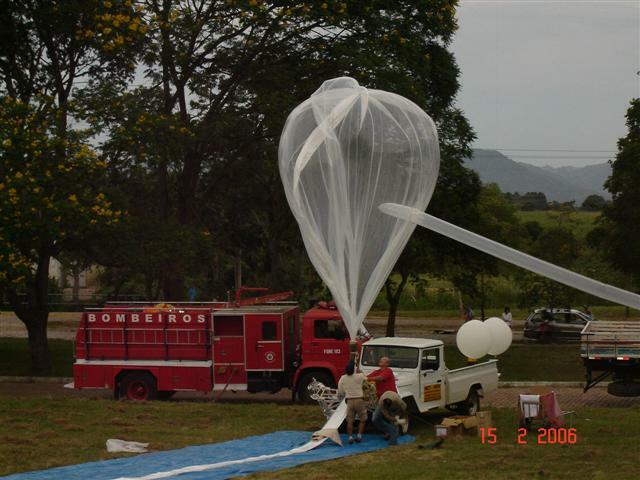 The balloon was succesfully launched in the evening of Febraury 15th, 2006 by dynamic method (hand launched). 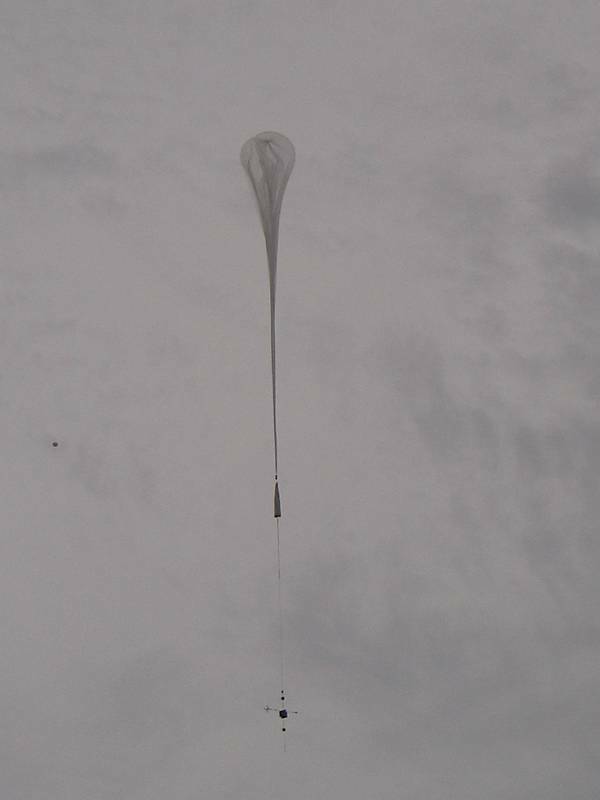 During the ascent phase the balloon failed to reach float altitude and not ascended more than 5 km of height. Optical view of balloon indicated squashed cap as with extra water. 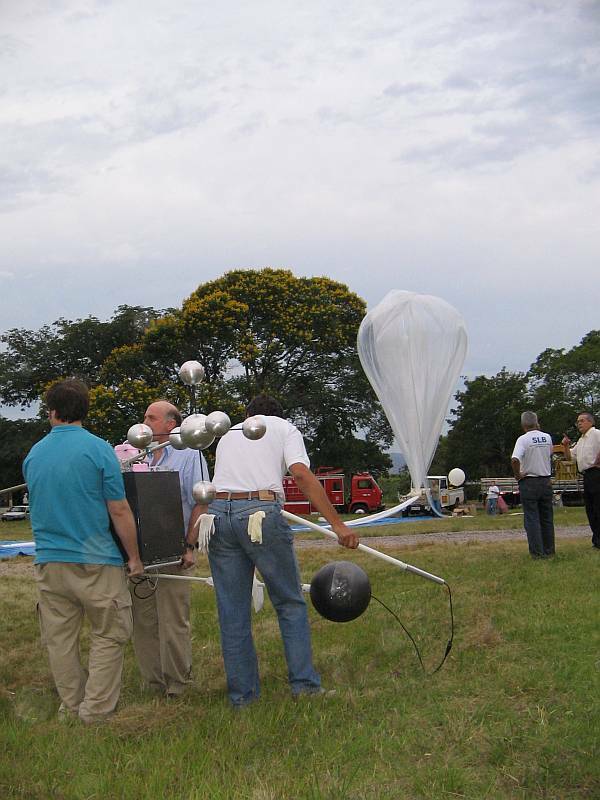 After the flight termination, both, the payload and the balloon were recovered in good shape 3 hours later near the town of Água Boa 20 km. east of the launch site. A carefully examination of the envelope, indicated no obvious manufacturer problems, but the recovered payload was very wet so was stablished that probably the balloon failed due to the water accumulation on his top when passed through heavy liquid water content stratus. During this flight no scientific data was obtained due to the balloon fail.